It was more than a little depressing to see the first North Brooklyn Farms get clobbered by bulldozers last fall, even if everybody knew it was coming. But as of this weekend, the farm is back and better than ever with Sunday night dinner parties, a fireworks viewing, and a host of other community events extending through the tolerable months. But best of all is that North Brooklyn Farms, now the Farm on Kent, will be an accessible plot of nature for the neighborhood’s residents. Members of Brooklyn’s Community Board 1 are expressing “outrage” that the Department of Buildings is allowing the developer of the Domino Sugar site to build on weekends, potentially disrupting Williamsburgers from sleeping in on Saturdays. 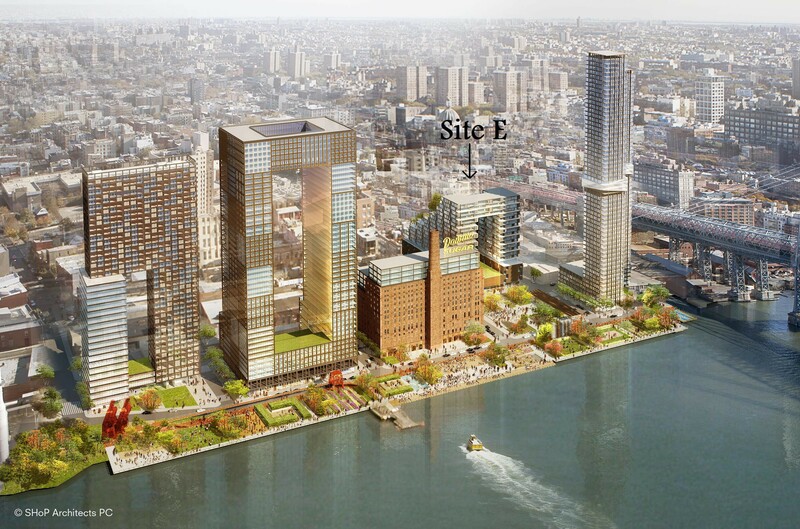 A meeting on Tuesday regarding the impending Domino development on Williamsburg’s waterfront was a reminder to residents just how close construction looms. There was the usual push-and-pull between the developers and residents, but Two Trees and the locals reached something of an impasse on the issue of Saturday construction, scheduled to begin at 7 a.m. as soon as the first building is underway. It’s safe to assume that the relationship between Williamsburg residents and Two Trees, the developers responsible for the Domino Sugar factory mega-development, is somewhat fraught. But last night at The Woods, which was uncharacteristically serious, the tension was all too palpable as nearby tenants and homeowners packed the darkened bar to hear updates about the development from Two Trees principal Jed Walentas. Mayor De Blasio has struck a deal with the developer of the Domino Sugar factory site, averting a potential impasse over affordable housing. Demolition of the Domino Factory is just about underway, and Two Trees has every permit and rezoning it needs to move forward with construction of its waterfront apartments. But on Friday afternoon, the Department of Housing Preservation and Development held a hearing about a rule change proposed by Two Trees that would affect the tax breaks for developers who create affordable housing. This has agitated activists who oppose the “poor door” measures that some recent developments are accused of taking, from The Edge to Northside Piers to the impending Greenpoint Landing.